Tod Wilson, founder of Mr. Tod’s Pie Factory in Englewood, N.J., is a Square Capital chief evangelist. Mr. Tod not only uses Square instead of what he describes as a “clunky cash register” but he also gained access to capital from Square via a small business loan that allowed him to expand his pie company. Now Mr. Tod has the two criteria that qualify him as a candidate for Square Capital’s latest product, Square Installments, which is purchase financing offered to consumers of small businesses on the Square Invoices platform. First, he is one of about 225,000 businesses that use Square Invoice products nationwide; and second his business is based in New Jersey, which is one of half a dozen states that are participating in Square Capital’s pilot program for purchase financing. Square is extending purchase financing to consumers for invoices between $250 and $10,000. Square Capital has been serving the small business owner for the past three years, and so it’s only natural to now target consumers. Meanwhile Square Installments has a striking resemblance to the core features of Square’s small business lending, mainly speed, flexibility and transparency. For instance, Square Installments is integrated directly into Square Invoices. Sellers send an invoice to customers. Eligible invoices include the option for customers to pay either with a credit card or to pay over time with Square Installments. The loan amount matches the purchase price on the invoice. 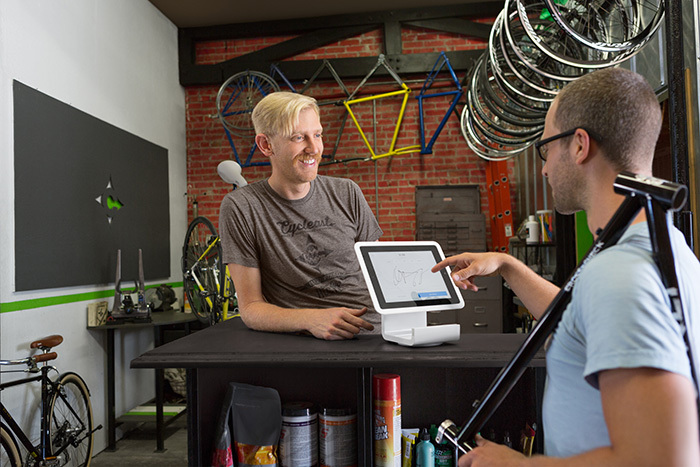 A square spokesman said Square Invoices is for merchants ranging from retail to professional services. “The use case we see from businesses is diverse. We imagine larger ticket purchases, like furniture, appliances or something along the lines of professional services, such as home improvement projects or repairs, installing a fence or solar panels on a house. Imagine going to the veterinarian and having unexpected costs,” he said, adding that the list goes on. Customers can then choose to repay the loan over three, six or 12 month installments. All three offers have an attached APR of 9.99 percent. “With the offers customer see the rate and exactly what the monthly payment would be at that rate over the course of the loan. It’s a really simple transaction and upfront in terms of what the total costs would be with those monthly installments,” said a Square spokesperson. Once the customer is approved the small business is paid instantly, shifting the risk of the unpaid balance over to Square Capital. “We’re really in the early stages at this point. We’re just starting the pilot. There are no default projections,” the spokesperson said. In addition to New Jersey, the Square Installments pilot is actively being rolled out across California, Colorado, Florida, New York and Virginia.